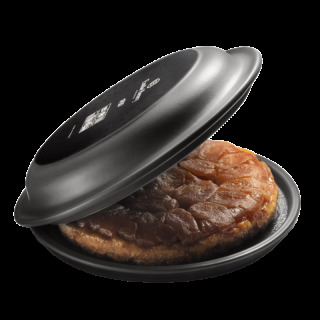 You can use your Emile Henry Tarte Tatin set to bake delicious tarts, starting on the stove top and finishing in the oven. Pre-heat your Tatin dish on a very low heat for two minutes (the lowest possible). When possible, do not exceed this time. For a sweet tart, pour in the sugar, spreading it out over the surface of the pre-heated dish. The caramel will gradually form. Do not use a spoon, hold your dish by the handles and spread out the sugar using circular movements. When the caramel is ready, take the dish off the heat and add the filling (apples for traditional Tarte Tatin). Then place the pastry on the top. 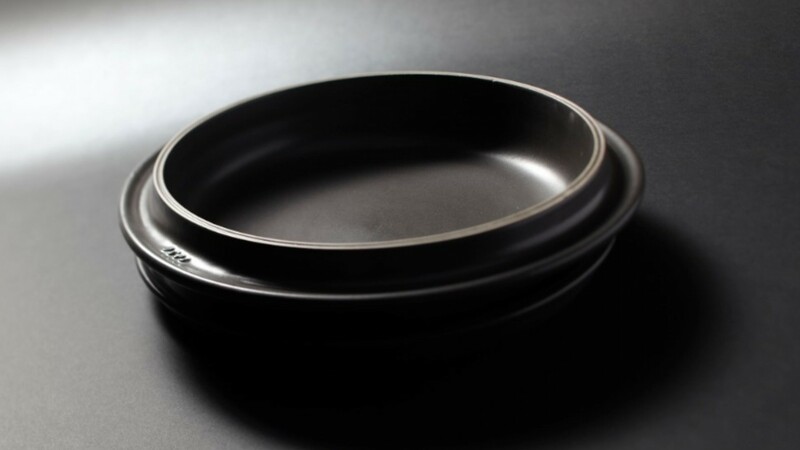 The diameter of the dish is designed for the ready-made puff pastry and shortcrust pastry you can find in the shops. The Tarte Tatin is completely cooked after cooking a second time in a preheated oven. After taking your Tarte Tatin out of the oven, leave to cool for 10 minutes. Place the serving platter on top of the dish and turn out the tart. To do this, hold the handles and the serving platter at the same time. Turn it towards you in one quick movement, and remove the dish to reveal your tart. Our 1850 ceramic diffuses the heat so that very high temperatures are rarely necessary. For natural cooking, always start on a low heat for the first 5 minutes, then increase the heat gently (for induction, use the lowest setting). Always use a burner the same size, or as near as possible, to the bottom of your dish. A burner which is too small or too big will not give the best results. This is even more important when cooking on induction, so that your hob detects the dish when it is placed on top.